Found some fun things today. Lots of nekked Jem dolls, TMNT action figures, a vintage Barbie, a Chubble, Baby Brite (missing her jumper) the third Bright Heart I've seen this year, Polly Pockets, a dress for my My Child Doll and my favorite: a new Bradley doll! 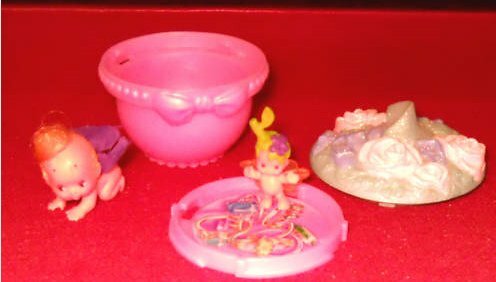 Also, on eBay today I snagged the rare Fairy Winkles set I have been searching for along with the variant jewelry box. As far as I know both sets are only available in the UK.